The barrage of unproven criticism and, in the case of that last claim, outright slander aimed at the newest member of the British royal family has been appalling. Her supporters have finally begun to call it out: Five of Meghan’s friends took the unusual step of speaking anonymously to People magazine this week about their admiration for the Meghan they know, who “personifies elegance, grace, philanthropy.” And, in an excellent Washington Post article this week, the author Yomi Adegoke breaks down the ways structural racism lies behind many of the attacks on the first biracial woman to marry into the House of Windsor. 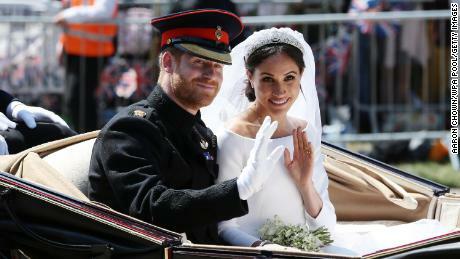 As Britain awaits the birth of Meghan’s first child with Prince Harry, it seems clear that the reality of a royal child with a black grandmother has brought to the fore prejudices that were more generally veiled around the announcement of her marriage. But while racism clearly plays a strong role in the demonization of Meghan by parts of the British press, there’s more going on here. Meghan has married Prince Harry because she loves him — anyone who watched them listen to “Stand By Me” at that beautiful wedding can see that — but that means marrying a man whose life and political responsibilities are defined from birth. It means joining a world where having a personality is a liability, expressing a political opinion in public is forbidden and the maintenance of public loyalty depends on a mythos of likeability and mystical aloofness. The problem isn’t Meghan Markle. It’s that royalty is an unsustainable institution in the 21st century. American fans, some of them devotees since her “Suits” days, have a very different relationship with Meghan than even her most supportive British fans. By definition: It’s a different legal relationship. Our taxes pay for her life. When we meet her, we’re obliged to curtsey to her. And her brother-in-law will presumably become our king, with the theoretical power to veto our laws. After all, we aren’t citizens in this country; we’re subjects. Even before Meghan, American interest in the royals has always been frenetic. It can seem amazing to Brits that Americans, who proudly celebrate their republican founding values, contribute in such an outsized fashion to the international fandom that sustains our monarchy. Fixation on Meghan’s body and its reproductive functions — horrific as it is, and very clearly amplified by misogynoir (misogyny directed at black women) — stems in part from the fact that her child could become our king. From Anne Boleyn to Mary of Modena, British subjects have fantasized about faked pregnancies and surrogate children smuggled in bedpans. Royal women no longer have to give birth in public — the tradition of the home secretary attending the birth was only abolished in 1948 — but each time Catherine Middleton produces a child, it’s only a few hours before she’s expected to primp up her hair and face and parade for photographers in heels. If Meghan scraps this barbaric tradition, the world should applaud her. The real problem is that much of this scrutiny is reasonable — but only within the tortured logic of a royal family’s very existence. Consider a Telegraph article, ridiculed in the United States but popular in Britain, that suggested Meghan should wear more British designers. In normal circumstances, only a monster would seek to tell a young woman which designers she should and shouldn’t wear. At the heart of this problem is the fact that Meghan has a personality and a prior public footprint, neither of which royals should have. Traditionally, royal strategists have decreed that royals should cultivate as much distance as possible from the public. The constitutionalist Walter Bagehot wrote that “we must not let in daylight upon magic” — that the British people can’t have faith in the monarch as national unifier or neutral arbiter of politics if they don’t revere her as something of an inhuman god. When Meghan’s Hollywood friends, used to a different type of celebrity, post pictures of her home life on Instagram, the daylight floods in dramatically on royalty. But in the next generation, do we expect Prince George to find a wife who has never tweeted a political opinion, or Instagrammed a food preference? At a recent event, Kate Middleton was asked by a child if the Queen eats pizza. Kate claimed she didn’t know. The British monarchy runs on children dreaming about what the monarch eats at home and never getting an answer. The simple solution is to abolish such an absurd and anachronistic system. It’s clear that Meghan has a chance to make the monarchy more inclusive, but there’s a limit to just how inclusive that system can be when it confers deference, alongside all these unchosen pressures, on the basis of bloodline. Prince Harry has talked in the past about wanting to give up on royal life. If Meghan and Harry want to be truly radical, perhaps they should walk away completely. They could have no greater influence on royal life than by denouncing it.